Applets dealing with the meaning of the Maxwell distribution of gases and pressure of gases are discussed. 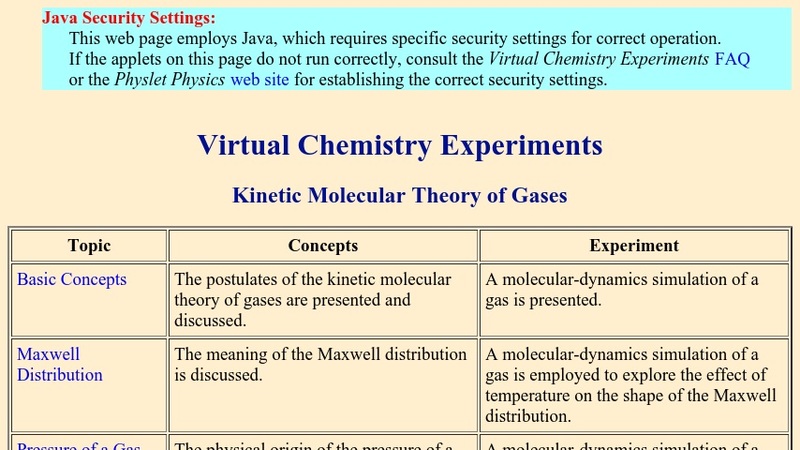 The Maxwell distribution experiment allow the user to explore the most probable speed of gas molecules. The pressure experiment allows the user to explore the effects of size and mass on collision rate, direction, and relative speed of gas molecules within a fixed volume.